Interested in learning and performing Improv Comedy in St. Louis? To the untrained eye, it may seem like random performances by a group of super humans. But in reality, there’s an underlying structure to improv that anyone – including YOU – can learn and enjoy! 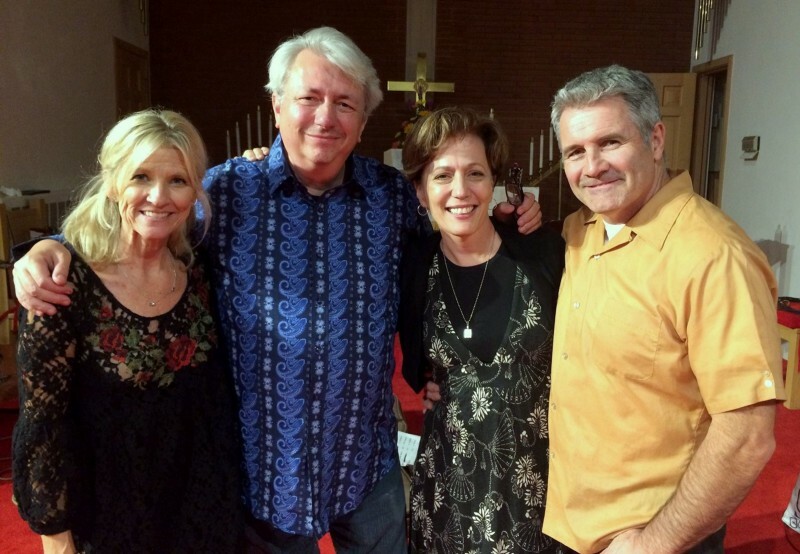 Check out Bob’s new book, The Improv Comedy Musician, co-written with Laura Hall from Whose Line Is It Anyway? What’s a drop-in class? It means there’s no need to sign up for mulitple weeks. Just come when you can and pay $10 the night of the class. PARKING: While there is a library lot across the street, it’s best to park in front of CSL on Willowyck. Otherwise, there’s a big parking lot right behind CSL. Just drive past the building and turn left around the circle and into the lot. Walk up the steps and go in the back door. Easy-peasy. Get creative, stretch yourself, and – most important – let’s have some fun! I circle up and start warm-ups at 7:05 PM. The class fee is only $10. Don’t be intimidated if you’re new to improv or performing. I make it easy and comfortable. And you’ll get to meet new people in a fun and supportive environment. PLEASE do your best to get there a few minutes early and be ready to get the most out of the experience. Remember to dress comfortably so you can easily move around. Ditch the heals and the ties. Ladies may want to wear pants or shorts instead of skirts or dresses. Most of my students are adults. Teens are welcome too, but no younger children please. If it’s your first time, there is nothing to prepare for. Just arrive with an open mind and be ready to have fun with some cool people in a supportive environment. Click here to see photos from the most recent classes. And here’s an improvised “Gum on My Shoe” blues song. Come witness the best short-form and musical improv performers in STL … A super fun time, and a great way to see the improv principles I teach in action. The 3rd Wednesday of every month! If you’ve ever watched “Whose Line Is It Anyway?” you know what to expect: games, scenes and songs, all inspired by audience suggestions, made up on the spot! Come witness the best short-form and musical improv players in St. Louis. There’s no admission fee. However, seating is limited and on a first-come, first-serve basis. We often have capacity crowds. So get there by 6:00 PM or so to grab a bite/drink – and to secure your seat! Do you know any venues that have the space and would like to bring this experience to their patrons? Contact me and let’s explore the possibilities! If you’ve seen “Whose Line Is It Anyway?” you know improv can be funny. But did the know the skills involved will serve you well in all aspects of business and life? Veteran actor, author, entrepreneur, and improviser Bob Baker will teach you and your team the hands-on basics of active listening, team building, creative thinking, and collaboration. But this won’t be a boring, passive lecture. You’ll learn by doing, using simple games and exercises to ingrain the principles. WARNING: You might even have fun in the process! How will improv affect your bottom line? It will energize your employees to work together as a cohesive team. It will foster out-of-the-box thinking and innovation. It will lead to creative problem solving. It will improve listening skills and communication with customers and co-workers. What are the best business uses for an improv session? See all of Bob’s books and audiobooks on Amazon. 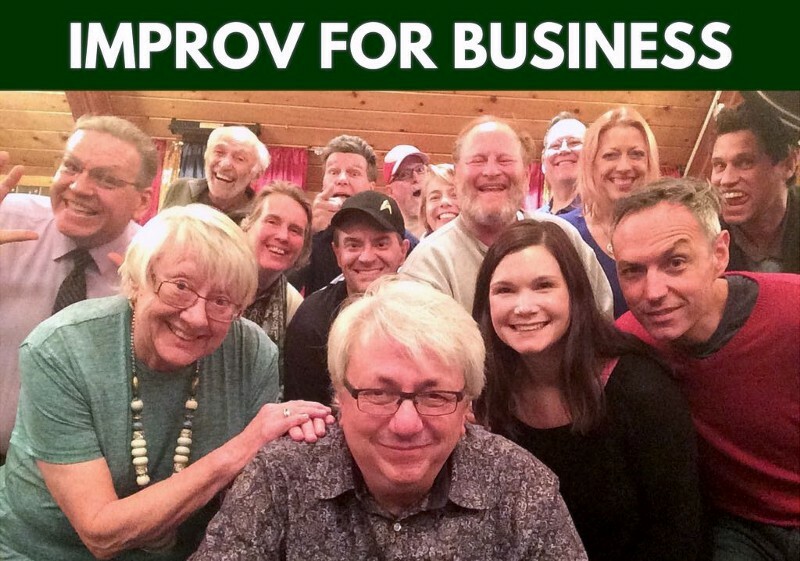 Contact Bob directly to discuss bringing an improv experience to your business or event. Also check out my St. Louis Improv Comedy Classes and Shows page on Facebook! Let’s connect and have some fun together!